Entries tagged with “Sigourney Weaver”. ‘Bumper year for local film industry’, Cape Town booming! The Cape Town film industry is about to start a bumper year of movie production, with parts of ‘The Avengers: Age of Ultron’ likely to be shot in Cape Town, reports the Sunday Times. 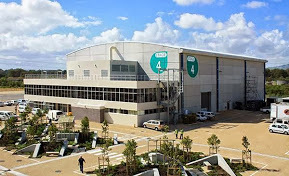 The Cape Town Film Studio is said to be so busy with productions that it is turning some away! The ‘Avengers’ sequel is set to star Scarlett Johannson, Robert Downey jnr, and Chris Hemsworth, a multi-million movie which will largely be shot in London. The Cape Town Film Commission has not confirmed the production, but met with the production company late last year. Major production companies have approached the Cape Town Film Commission about filming major feature films, international networks from Japan and India, as well as the BBC have made contact with the Commission. An international reality TV show may be shot in Cape Town or Durban in winter, The New Age reports.